All boiler installations are tailored to fit your individual central heating needs, site requirements and current regulations, therefore, replacement boiler prices can vary considerably. We endeavour to provide a low price for a high quality boiler, including 7 years warranty on the Vaillant Ecotec boiler range. A pre-visit estimate is emailed upon request or you can CLICK HERE to download an estimate now. This will allow you to view our prices prior to the visit. In 99% of cases the pre estimate price remains the same. A standard flue kit is included, the boiler condense pipe work to a suitable drain point is included as is the gas upgrade for up to 3 metres in length. We have also included all necessary boiler pipe work and fittings, a chemical flush of the central heating system and boiler hard water protection (combi boilers) & iron oxide (sludge) protection (open vented boilers). The boilers electrical connections, boiler and central heating testing and registration with Building Control is also included. We even arrange for the removal and disposal of your old boiler, central heating parts and rubbish. There are reasonable extra costs for changing central heating system types, for example, removing hot water cylinder, expansion tanks etc and replacing with a combination boiler. These prices are dependent on location of boilers etc. What could increase the cost of the estimate? If we are unable to fit the new boiler in the same position as the old. This might be at your request or might be necessary in order to comply with current regulations. If your existing gas pipe diameter is 15mm instead of 22mm as required by most boiler manufacturers. If certain components of your existing system are missing, not to current standards or require updating. If you ask for additional works to be done! If you have a quote from an independent installer for a replacement boiler or central heating installation, we cannot guarantee to beat their written quote, nevertheless we will accept the challenge. For your assurance, we will not compromise quality of service or materials just to be the cheapest. Many installers can provide cheap quotes by cutting corners. 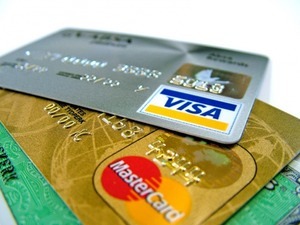 All major credit cards accepted and bank transfers. We are an approved Barclaycard merchant.